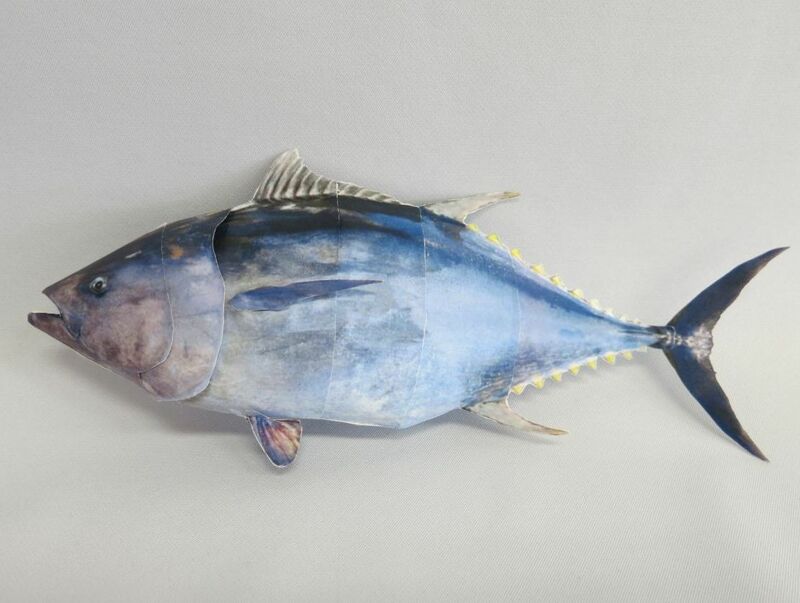 This papercraft is a realistic Pacific bluefin Tuna fish, the paper model was designed by JFRA (Japan Fisheries Research Agency). The Pacific bluefin tuna is a predatory species of tuna found widely in the northern Pacific Ocean, but it is migratory and also recorded as a visitor to the south Pacific. In the past it was often included in T. thynnus, the ‘combined’ species then known as the northern bluefin tuna. It may reach as much as 3 m (9.8 ft) in length and 450 kg (990 lb) in weight.